The legacy of Victorian Corporation continues with the studio, 2BHK, 3BHK and 4BHK apartments in Victorian Privilege. These flats are modest in size but big on comfort and lifestyle. Living up to its name, everything about the property is comfortable. From the smart sized apartments to the 24-storey buildings, the calm environment to the quality construction, every element is carefully selected for ease and crafted for bliss. Enter the property of Victorian Privilege, and feel the fears and low energy melt away. The location of L Zone, Delhi Dwarka is exquisite and tranquil. The beautiful layout ensures ventilation and privacy while the picturesque landscaping creates an atmosphere of blissful green. The homes welcome the occupants with airy and uplifting ambiance. The locality is one of the fastest developing areas in the Delhi Dwarka region. L Zone has become a major attraction for people who are seeking elite and luxury living in NCR due to its constant infrastructure development. It is well connected with the airport, along with rest of Delhi and Gurgaon. In which area is Victorian Privilege located?The project is situated in L Zone, Delhi Dwarka. What is the area of apartments in Victorian Privilege? The area of apartments offered in the project ranges from 1050.0 sqft to 2350.0 sqft. How much is area of 2bhk in Victorian Privilege? 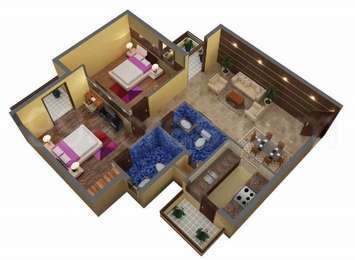 Two-room units (2BHK) in the project are available in an area of 1050.0 sqft. What is total area of 3 bhk in Victorian Privilege? 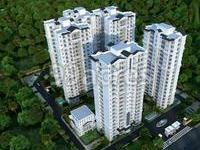 3 BHK units in the project are available in a size of 1350.0 sqft to 1650.0 sqft. How much is area of 4bhk in Victorian Privilege? The area of 4BHK units in the project varies from 1950.0 sqft to 2350.0 sqft. What is tentative possession date of Victorian Privilege?The project is expected to be delivered by Oct 2020.